The physician's practice of UT Health San Antonio offers complete evaluation and treatment for all sinus and nasal conditions by board-certified physicians with extensive training in rhinology and sinus surgery. Our board-certified, fellowship-trained ear, nose and throat (ENT) specialists provide expert care to patients suffering from nasal and sinus problems such as allergies, sinus infections, sinusitis and deviated septum. Our providers are trained in the newest methods and technology for testing and evaluating patients to find the source of their symptoms. 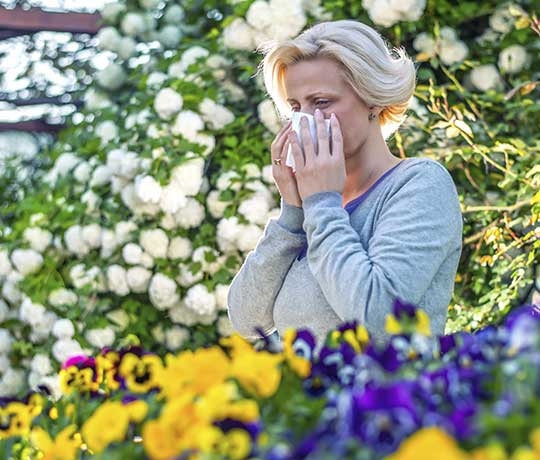 A sinus specialist will create individualized treatment plans after discussing the patient’s symptom history and completion of a thorough examination. Our physicians provide individualized care plans for each patient’s particular concerns. All of our specialists have extensive training in all treatment options which range from environmental changes and medicines to minimally invasive surgery. Allergy Testing - A test that shows reactions to typical allergens. This can be performed on the skin or through blood testing. CT Scan - Imaging to look at the inside of the nose, sinus, and airway. Nasal Endoscopy - A small tube with a camera and light at the end that can show problems within the nose and airway. Please call 210-450-9950 for more information or to make an appointment.